A sample guide to help teachers understand how a trial lesson should be conducted. Helpful hints that can help. Common rules that should be followed to help avoid misunderstandings between students and teachers. To ensure that you understand our system guidelines, this section explains the level of professionalism we expect. 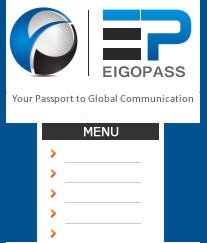 EigoPass teachers should treat students with the same level of respect that they would expect from others. Professionalism should be practiced in all situations before, after, and during lessons. Teachers should dress appropriately for all lessons. Although suits are not required, nothing offensive should be worn to trial lessons and regular lessons. Teachers have the flexibility to discuss with their students on what is appropriate and not appropriate when an understanding between the two of you has been established. Please be punctual! Lateness is considered an extremely rude act to most students. Therefore, we ask that you please be on time. If in the event that you are running late, inform the student of the situation as soon as possible. Teachers should refrain from smoking during lessons. If the student doesn't like smoking, please choose areas that are smoke free whenever possible during cafe lessons.